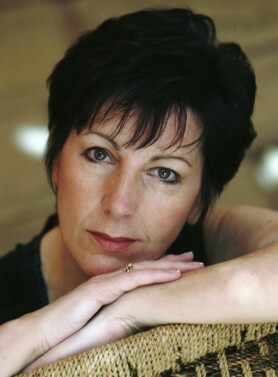 Margaret McDonald is a renowned international singer and voice-coach. She sings regularly in major venues and cathedrals in the U.K. and abroad. She works with many leading conductors, encompassing an extensive repertoire of oratorio and concert work, opera, contemporary and light music. As well as singing with numerous choral societies nationwide, she has sung on the operatic stage for Glyndebourne Festival and Touring Opera, ENO, Opera North, CBTO, Chelsea Opera Group, Scottish Opera and Scottish Opera Go Round. She has recorded a variety of works for Nimbus, Marco Polo and the BBC, including Maxwell Davies’ The Jacobite Rising and Sea Elegy. Maggie now combines a busy singing schedule with her Vocal Consultancy work, being in demand for master classes, workshops and examining. She has taught at the RSAMD and RNCM, where she indeed studied. She is vocal coach for the Hallé Choir and the Sheffield Philharmonic Chorus, and has taken workshops for Bury, Ramsbottom, Saddleworth and Huddersfield Choral Societies, as well as male voice and gospel choirs. She wasdelighted to be involved in the Bury Hospice Schools Choir Competition.She has also been the vocal coach for the production of Amadeusat The Crucible Theatre in Sheffield, Mama Mia at the Palace Theatre in Manchester and most recently at the Opera House in Manchester for the new musical Ghost. Recent concerts have included Elgar’s Sea Pictures and The Music Makers,Tippett’s Child ofour Time, Mozart’s Mass in C, Saint-Saëns’ Requiemand Verdi’s Requiem, Rossini’s Petite Messe Solennelle, Bach’s Mass in BMinor in Sheffield Cathedral, St Matthew Passion in Taunton, Handel’s Israel in Egypt, as well as open air “Last Night of the Proms” style concerts, recitals of Spanish song with guitar and a number of recitals with pianist Jan Swynnoe. Future performances include Elgar’s Dream of Gerontius in Ripon Cathedral, Rutter’s Feel The Spirit in Saddleworth, Mahler’s 2nd Symphony in Chester Cathedral, Bach’s B Minor Mass in London, Brahms’ Alto Rhapsody and Elgar’s The Music Makers in Portsmouth plus opera galas and recital work.